Published at Jan 18, 2016. As Amazon sellers, we’ve gotten to know Amazon returns from the seller’s perspective pretty well. 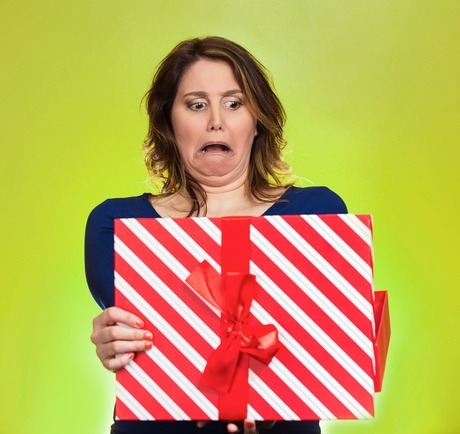 But a few poorly received gifts over the holidays left us scratching our heads as we tried to figure out the Amazon return policy for buyers. How long, exactly, do you have to return a product? Do you need tracking or insurance? What are the differences between returning a product to Amazon and returning a product to a third-party seller? After looking through the labyrinthine results on the official policy page, we decided to put together this guide—as much for our own benefit as for yours. How Do I Return an Item to Amazon? Go to the Amazon Returns Center and follow their prompts. Pack any paperwork with the item you’re returning. If you have the packaging the item arrived in, you can just put it back inside and replace the old shipping label with your new one. Otherwise, you’ll need to get a good box for it and padding materials like newspaper, packing peanuts or bubble wrap. Make sure the box is taped securely shut and that your padding does not allow the item to bounce around inside. Follow any remaining instructions given to you by the Amazon return center. Note: Amazon used to state that every item had to be returned in a separate box, even if items arrived together. This statement seems to have disappeared. It may be permissible now, but it's best to ask Amazon directly before trying it. How Do I Return a Gift to Amazon? Returning a gift to Amazon works much like returning an item you purchased yourself. The key difference is what you need in order to return it: your order ID, or info about the gift giver. How Do I Find My Order ID? Of course, the packing slip also has the price of your gift on it, so it’s not always popular to include it when giving a present. That means if you don’t have it, you’ll have to get it from the gift giver. Good luck! What If the Giver Lost the Packing Slip? They can still find it on their Amazon account. They just need to log in to Amazon, mouse over “Your Account,” and click on “Your Orders.” The order ID will be in the upper-right of the order in question. What If I Can’t Get the Order ID? Email address giver uses for Amazon. Tracking number on the package. Shipping address where the package was delivered. You don't need all of that, but the more you have, the better! Contact Amazon once you have enough info and they will try to identify the order for you. How Do I Return the Gift Once I Have This Info? Go to the Amazon Returns Center and follow their prompts. If you don’t have an Amazon account yet, you’ll need to create one—but don’t worry, it’s free. If your return request is approved, Amazon should provide a return label and return authorization slip for printing immediately, and send you copies via email. Print these materials or choose to have them mailed to you. Pack the return authorization with the item you’re returning. 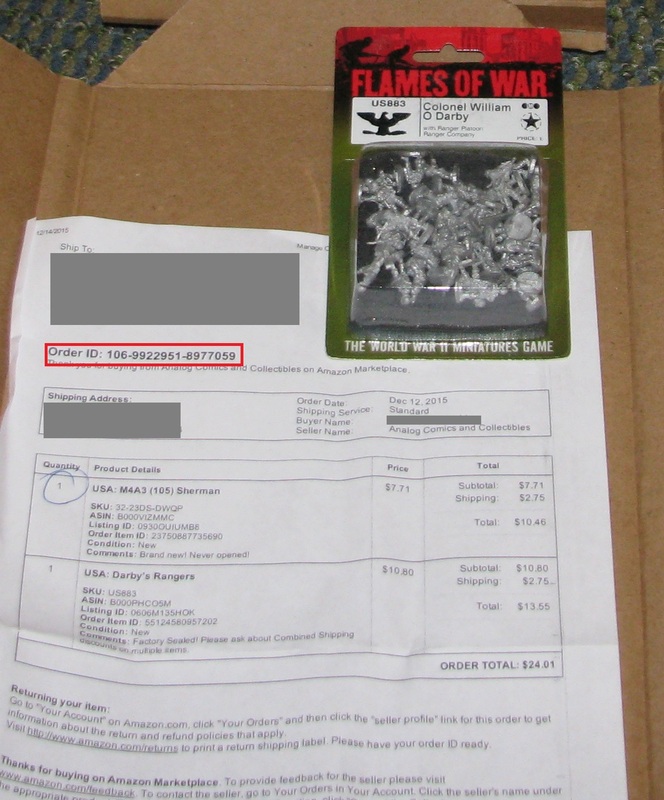 If you have the original packaging used to deliver the product to your door, you can just put the item back inside and replace the old shipping label with your return label. Otherwise, you’ll need to get a good box for it and padding materials like newspaper, packing peanuts or bubble wrap. Make sure the box is taped securely shut and that your padding does not allow the item to bounce around inside. What If the Seller Won’t Approve My Return Request? You may still be able to return the gift. However, you’ll have to get the giver involved and ask them if they can file an A-to-z Guarantee claim. That can be a painful experience for everyone involved, so only turn to that option if absolutely necessary. How Long Do I Have to Return Something I Bought on Amazon? You just had to ask, didn’t you? It’s complicated—it depends on what you bought, when you bought it, and whom you bought it from. It sometimes even depends on why you made the purchase! Look for the statement that most closely matches your situation below. The amount of time you have to initiate your return appears in front of it. Never: I purchased hazardous materials; live insects or plants; food for people or pets; wine; gift, game or phone cards; downloadable/streamable games, software, music or videos; or theme park tickets. You have to admit: shipping your can of propane, bucket of nightcrawlers, bottle of fancy wine, or World of Warcraft card was probably a hair-raising experience for the delivery guys the first time around. And if you try sending back a live plant or insect, it’s just not likely to survive another three days bouncing around in the back of a delivery van. Returns for these items are out of the question. However, if you get a box of dead crickets when you have a house full of hungry lizards to feed, or someone clearly used your oxygen tank to fight off Jaws, you might be able to get a refund. Learn more here. 7 days: I bought an ebook for my Kindle, or accidentally bought the wrong digital music using Alexa. You can "return" any ebook you've purchased within a seven-day period. If you receive an ebook as a gift, you can choose to trade it in for Amazon gift card credit rather than accepting it. Digital music bought using Alexa works similarly. If you tell Alexa to buy some Creedence Clearwater Revival from the Digital Music Store and she accidentally purchases Creed instead, you can "return" that within seven days as well. (Phew!) However, the same guarantee doesn't apply if you make the purchase from your computer instead. 30 days: I just bought a normal product at a normal time of year. You have 30 days from the time you receive your purchase to return it to Amazon. 31 to 92 days: I need to return something I bought during the holidays. Amazon goes easy on everyone during the holidays. If your item was shipped between November 1 and December 31, you have until January 31 to return it. 90 days: I’ve got these baby items I don’t really want... and my Amazon Renewed computer doesn't work. Did everyone at the baby shower give you boy-themed stuff, only for a daughter to join your family two months later? No worries—with the exception of baby clothes (which follow the normal 30-day rule), you have 90 days to give back your baby items. Amazon Renewed items sold by Amazon can also be returned within 90 days. If you bought one from a third-party seller, you only get the normal 30 days for standard returns, but the seller is still required to provide a 90-day warranty. 180 days: I want to send back something bought through my wedding registry. You have up to 180 days to initiate wedding registry returns. However, this only applies to gifts, not to items the registry owners bought for themselves. This is marriage we're talking about—no cheating allowed! 365 days: I bought an Amazon Elements, Presto!, Mama Bear, Happy Belly or Wickedly Prime product. Amazon's one-year money-back guarantee on these products sure is nice! You have up to 365 days after you receive the product to report that you’re not completely satisfied. Life of Warranty: The automotive parts I purchased failed. If you buy something for your vehicle and it doesn’t work or suffers from another failure covered by the manufacturer’s warranty, you can get it replaced by Amazon or get a full refund. All Eternity: I'm not totally happy with a Buttoned Down, Core 10, Moon and Back, Obsidian or Peak Velocity item. Amazon owns these brands and is serious about satisfaction for them. They accept returns unconditionally at any time for all five. 14 days: I bought collectible coins, or a Handmade at Amazon or customizable item. You must notify the seller that you want to make the return for any of these items within 14 days of receiving them. 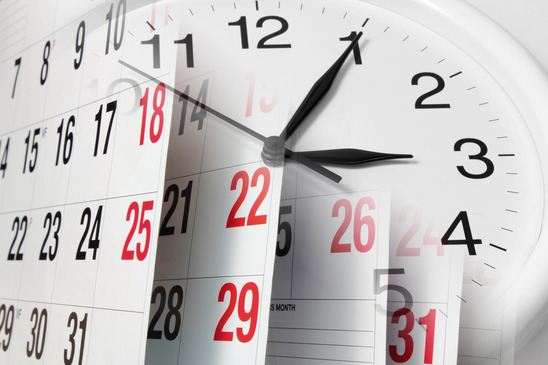 After the seller agrees to accept a return, you must mail it back within 14 days of the agreement. Collectible coins have an additional time limit: you have to get the item in the mail and on its way back no later than 30 days after you received it. So try not to spend too long arguing with the seller about the return! 30 to 92 days: Everything else. Sellers can define their own return policies, but they should always be as good as or better than the return policy for Amazon. You should therefore have as much time as in the cases above under most circumstances. However, we give you 30 days for a third-party seller because you must contact them within that timeframe (or up to 92 days for items bought during the holiday season, as described earlier). Failing to do so means you may lose the option to file an A-to-z Guarantee claim. If there’s a problem and you don’t contact the seller in that first month after you receive the item, it becomes much harder to force them to refund you, even if you ordered a laptop and they sent you a broken abacus. Don’t put yourself in that position. You must also send your product back within 14 days of arranging a return with the seller. If you can't work things out with the seller, Amazon typically gives you 90 days from the maximum estimated delivery date to file a claim. But they will consider claims filed after this date if you have a good reason. What Are the Conditions for Making a Return? We’ve all opened a box and found that the thing we’d bought didn’t work—or that it just wasn’t nearly as cool as the commercials made it seem. Can we still return it? Or have we already lost that opportunity because we opened it? Do we need to also have the receipt, or the warranty, or... what? Does It Need to Be Unopened? TVs that were not shipped using Enhanced Delivery, new and fully functional computers and tablets (other than Fires and Kindles), and breast pumps (obviously) must all be unopened in their original packaging. Graded and original government packaged coins must be delivered inside their original packaging. While most other things can theoretically be returned after you've opened them, you might get hit with penalties like restocking fees, and you'll almost certainly have to pay the return shipping if the item arrived in new condition. Third-party sellers may also have their own rules about what you can and can't open before starting a return. Note: Kindles and Fires only need to be in new condition. Likewise, if you ordered a TV using Enhanced Delivery, it just needs to still be in like-new condition. Do I Need to Return All of the Packaging, Documentation, Etc.? Sports and entertainment collectibles, fine art, Handmade at Amazon products, customizable products, jewelry, and watches all need to be returned with their original packaging, certificates, tags, warranties, and anything and everything else that came with them. If your item came with a warranty, you may need to return the item and warranty together, as described above. But you generally only need a warranty if Amazon / the seller won't accept a return. In that case, check if your item is covered under warranty and contact the party responsible for honoring it. Amazon will directly honor the warranty for defective products in the Automotive Items category. Anything in that category sold by Amazon (not a third-party seller) and covered by a warranty is eligible for return. Should I Take a Picture of It Before I Send It Back? Taking a picture of the product in the condition in which you received it is a great way to prove that it was in good condition before you sent it back, or that it was broken when it arrived. Amazon therefore requests that you photograph all sports and entertainment collectibles, collectible coins, and fine art items before returning them. Can I Still Return It If It’s Been Damaged Since I Got It, or If I Made Any Changes? 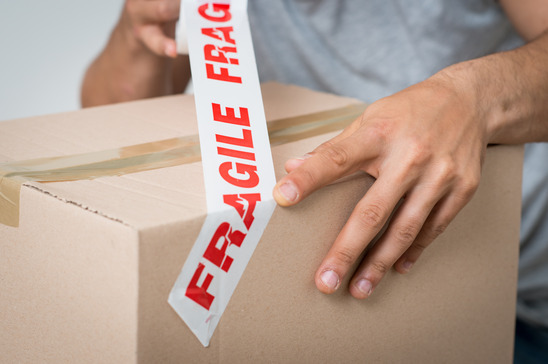 You can just about always return something that was damaged or defective when it arrived. But if you cause damage or make alterations, things can get ugly. You cannot return any jewelry, watches, fine art, or collectible coins that have been damaged or changed in any way since you received them. You may be able to return altered or damaged products from other categories but there's no gaurantee. It's often not worth it even if you can. For example, if you you broke a computer or popped off a lid and fiddled with the innards, a steep restocking fee could eat up most or all of your refund. Do I Need to Use a Delivery Confirmation Service? Amazon suggests that you use the USPS delivery confirmation service for returns of all items priced below $35 when dealing with a third-party seller. This will prevent disputes if you return an item and the seller claims they never received it. Do I Need to Insure the Shipment? Were purchased from a third-party seller and worth $100 or more. Are sports or entertainment collectibles worth over $500. Are fine art items worth over $500. How Do Amazon Refunds Work? That’s a topic for another article! See "How the Amazon Refund Policy Works." The Amazon return policy has a lot of rules and can certainly be confusing. However, you can almost always return an item, whether it was a gift or something you bought yourself. We hope that by rephrasing it here, we made it just a little easier for you to understand so you can get the refund you deserve. By the way, if you're a seller trying to make better sense of all these policies from the buyer's perspective, you can tame the madness! Integrating Amazon with a helpdesk lets you handle all your messages (even those from eBay or your online store) in one place. Make your life easier. "About Our Returns Policies." Amazon.com. Amazon, n.d. Web. 31 July 2018. "Return a Gift." Amazon.com. Amazon, n.d. Web. 31 July 2018. "Return Items You Ordered." Amazon.com. Amazon, n.d. Web. 31 July 2018.